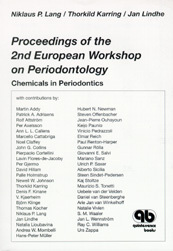 Kieferorthopädie für Zahntechniker Goldstein, Ronald E.
The 2nd European Workshop on Periodontology, held in 1996, focused on chemical agents in periodontics. This volume includes: antibiotics in the treatment of periodontal diseas antiseptic agents and nonsteroidal anti-inflammatory drugs (NSAIDs) in periodontics; chemically active agents in tooth pastes; chemical agents in periodontal regeneration; and chemical agents in periodontal diagnosis. This is an excelle resource for clinicians and researchers who seek to keep pac with the latest issues and research in periodontology.